How much do you know about health spending accounts (HSAs) and the taxability status of these types of accounts? 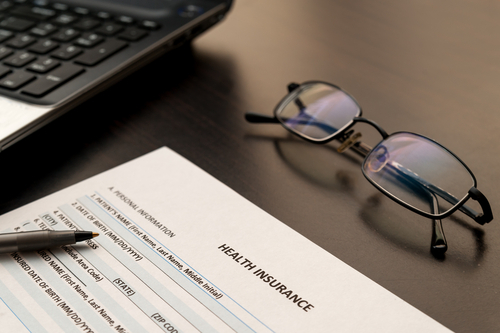 Are you familiar with the advantages and disadvantages of HSAs? If not, you should learn more about this type of insurance account! Because an HSA works with debits and credits, it can be considered similar to a personal bank account. If they maintain a positive account balance, the individual can obtain reimbursement for eligible medical and dental expenses and their account will be debited by the paid amount. Individuals that elect to open an HSA should be aware that the amount deposited in their account must be used within a specific amount of time. This specified period is typically one or two years in length, and any unused balance will be forfeited after this time period has passed. Three main facets go into the implementation of an HSA: philosophy, carry forward, and funding. The philosophy behind your company’s HSAs will depend on the specific, tiered benefit structure that will be best for your employees. Individual HSAs should be dependent upon seniority or relative position within the larger company. This may include different benefit amounts and requirements for executives, management, and all other employees. The design of your HSA will also be determined by the employer’s preferred method of “carry forward.” There are three main “carry forward” options: balance carry forward, expense carry forward, and no carry forward. Balance carry forward allows employees to roll over any credits accumulated in year one to year two. Remaining balance reverts to the employer. Expense carry forward allows for any unused credit from year one to be carried into year two, and any remaining balance reverts to the employer after the second year. No carry forward gives employees the ability to claim expenses against employer credits in the same year that the original expense is incurred. There are four main funding options for how the employer’s predetermined contribution can be allocated to fund an employee’s HSA. Funding options for HSAs include monthly and annual options, as well as pro-rated and pay-as-you-go plans. HSAs can be a tax-deductible business expense, just like traditional benefits plans, provided certain important criteria are met. For starters, the HSA must be 100% funded by employer contributions set prior to the benefit year. Your HSA also loses its’ tax-deductible status if funds are used to purchase additional insurance. Check out more about the taxability status of health spending accounts here. While there can be many more important details regarding health spending accounts, we hope that we’ve given a helpful brief overview. If you have any questions about the products and services offered by the Health Risk team, please don’t hesitate to give us a call at 1-403-236-9430 today!